This is a common plant in dry areas of the West. 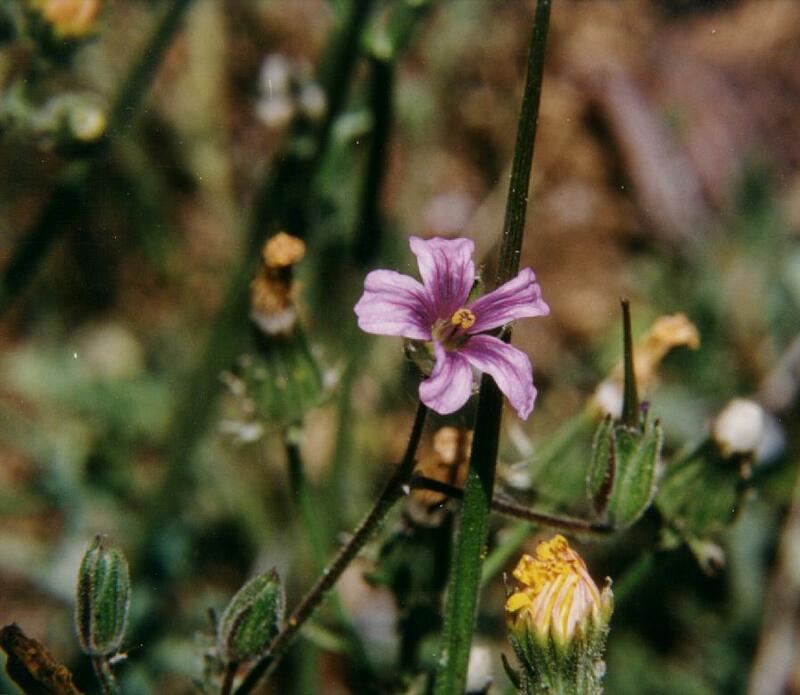 The flower is small, but the plant can be so numerous that whole areas appear rose to violet. The distinguishing characteristic of this plant is the fruit, a long sword (or heron's bill). This fruit opens to reveal a seed with a long coiled tail that helps it dig into the soil as it expands and contracts with changes in heat and moisture. Harvester ants collect these seeds and leave the husks and tails outside their mounds in heaps. The plant is native to the Mediterranean region. There are five species found in the Santa Cruz Mountain area. This is the most common, the Red Stemmed Filaree.